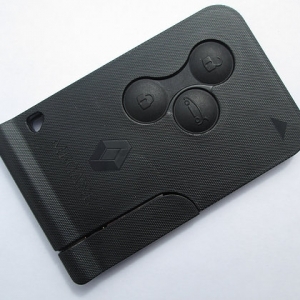 3 buttons key card case for Renault Megane 2 – Replacement remote key cover shell. Key case and key blade only. Not electronic internals. 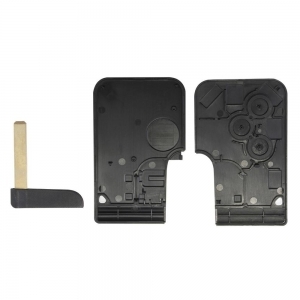 Just cut the key blade,take the internal electronics (include immobilizer/transponder chip) from original remote and place them to our key shell, then you are ready! 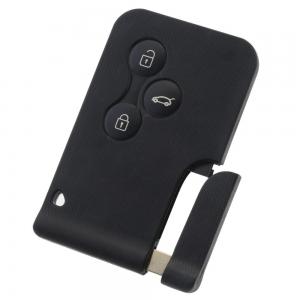 After market Key Card Compatible Models: Renault Megane II (2002-2009) Renault Scenic II (2002-2009) Technical Specification: Transponder PCF-7947 433MHz frequency ID46 The remote and transponder chip needs to be programmed.